After I posted this I had a discussion with Jonathan in the comments, if you are interested in Muse, go check them out as well. There’s a thread over on Story Games where Jonathan Benn discusses why he almost got out of the hobby in 2006, and talks about the game he wrote when he addressed those reasons. I can sympathize. A few years earlier I had left my gaming group behind out of similar frustrations, and started my work with Höstdimma (18th century postapoc game, not available in English. If you read Swedish you can get it through my Lulu store.) From the thread we learn that Jonathan developed his game in isolation from the rest of the story game community. I wonder how his game turned out. My copy of the game is a PDF of 59 pages US letter. The text is formated in a single rather wide column. Not counting the cover there are no pictures except for diagrams explaining how to interpret the cards that are used in play, and showing the state of the table at various stages during an example game. The game was a quick read. Muse is a universal system, and has no setting. There are guidelines for developing a setting as part of play. There are no mechanics at the character level, no conflict or task resolution. But there’s a card (ordinary 52 card deck) driven bidding mechanic that is used to resolve conflicts between the participants, and to answer questions asked during setup (“Will the prince rescue the princess from the dragon?”). There are strict rules governing the rotation of narrations privileges. Muse is mostly about form, and takes the unusual step of removing the player role entirely. All the participants are GMs, and take turns telling bits of the story, using a shared gallery of NPC like characters. All narration is done in the present tense, in third person. There is no setting at all. The rules are OK, the card driven mechanic seems a bit convoluted, but there should be some depth and possibility for employing tactics while playing. The form is excellent, there are lots of very clear examples for how the game should be played. No, I don’t think so. The game is a very good wheel, but it’s still a wheel. I wonder if Jonathan would have written it at all if someone had shown him Univesalis (by Ralph Mazza and Mike Holmes), which does mostly the same thing but with dice instead of cards; and it has retained PCs, even if they rotate among the players. Still, the game is free. I might recommend it to someone who wants a game of storytelling that still feels like a proper, winnable, game. Removing both PCs and players is a bold move. 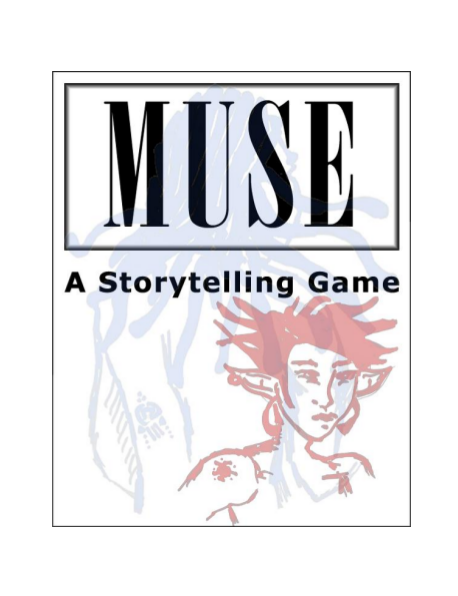 While there is no doubt that Muse is a storytelling game, I’m not sure I would call it a role playing game. There is no first person play left at all. www.benn.ca/muse – The official Muse web page. ramshead.indie-rpgs.com – The official Universalis web page. Back in March I finally managed to sit down with the sound toys for a while and did my New Year’s resolution recording. Today I got another chance, and I managed to figure out how to sync the Electribe with the arpeggiator on the CS1X. Some time I must find out how to program my own arp sequences, but this time I settled for random notes over two octaves. Wetdog, another tune composed by random doodles on the keyboard. About a year ago I played Witch Quest, a neat game where you play young witches in the style of Kiki’s Delivery Service. The game was popular, so now I have a session scheduled for next week. When playing the game the players can use a special tarot for divination and various other things. 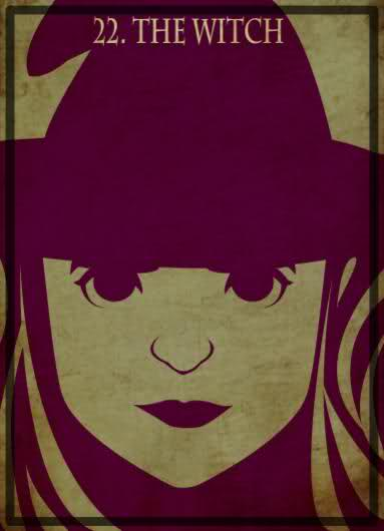 This is no ordinary tarot however, but a special 29 card Witch Quest Tarot. There are ASCII-graphic cards available for download, but I wanted something prettier. However I didn’t want to draw 29 cards all my myself, enter crowdsourceing. Drawing just one or two cards is feasible to almost anyone, so I posted a shout out for help on Google Plus. There are still some stragglers so I have done a few place holder cards, and maybe some of the participants may wish to submit revisions of their cards. My game is on Saturday next week so I can’t wait much longer in assembling my deck. So here is the Crowdsource Witch Quest Tarot Draft. Print the PDF, cut out the cards and either paste them onto cardboard or some old playing cards. Or put them into stiff card sleeves like those that Magic players use to protect their cards during play (ask at your friendly local game store). It produces stunning results.